Should I hire or should I buy? Does the system come with advice? On some of our products, like the Mobiliser and the Back in Action Mattress, you do NOT need to pay VAT if you have a chronic health issue. When you hire or buy a Mobiliser you will be given access to Back in Action's consultancy system so we can maximise the chances of you getting fabulous value for money. Improved quality of life for almost all users: The Mobiliser is clearly not a medical miracle... it cannot instantly cure a slipped disc or have you running like an olympic athlete... but combined with our expertise you may find that many of your symptoms are not due to a disease, but due to the way your body is reacting to it. Consult with us before hire or purchase and we will help you make a realistic assessment of the changes you can expect. Via our consultancy system we have been able to observe the progress of thousands of Mobiliser System users. Most seem to get what they want with our help... which is great, but for some users the improvements in their bodies movement and co-ordination reveal a localised issue that was previously difficult to see. So we even have a system to help there... if you decide that private treatment or independent fitness consultancy would speed up your progress we will rebate your monthly fee by the cost of one session a month (max £50 per hire month... just provide details at final invoice time). Normally this wouldn't be surprise to us as we'd have discussed it on the consultancy system!!! A mobiliser costs £3299 plus VAT to buy, but you can use one at home for a security deposit and monthly rental. Normally the £1500 deposit is secured by credit card, but a cheque etc. is possible. We can negotiate a lower deposit subject to other forms of security. Choose Monthly hire and consultancy to restore balanced body movement after a fairly recent event:- to prepare for a sport event, or to assess before purchase. * The above excl VAT price assumes you can claim VAT relief due to a chronic health condition. If you can't please choose the including VAT Price. Choose our 4 months + hire starter package and get “four for the price of three”. This option or purchase is best if you are trying to beat a significant amount of pain that has persisted for some years (and may take time to resolve). After four months you may renew, or go to monthly, or hopefully return it full of the joys of spring! 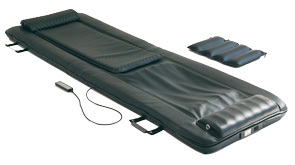 Buying a Mobiliser is not cheap, but it is the best Back Care system we know of. We can deliver at very short notice, and supply on credit terms, but if purchase is too great a leap of faith why not hire one first? Stock Update: We have stock ready to ship within 1 working day. Assumes vat zero rated for health reasons. If you have been hiring and you would like to convert to buying a Mobiliser we will discount your net hire charges by 25% against purchase of a new Mobiliser. You can purchase a Mobiliser on deferred payment as long as you can put down a significant deposit by card or cheque. The deposit is usually less than the deposit we take for hired Mobilisers and the monthly cost thereafter is considerably lower than hire charges. To purchase Mobiliser for health reasons over two years with a deposit of £1000 means 24 monthly payments of £105.37 (approx £3.49 a day) which includes all admin fees. Higher deposits or shorter terms such as 6 or 12 months will reduce the admin fee. To request a contact click here. Security - As is common practice (with hire shops) we do require a deposit or other form of security which we keep until the Mobiliser is returned. Stores can discuss options. Hirer will agree: 1. that extra rent or damage can be deducted from deposit on return of system. Damage and loss is responsibility of hirer (though either is as rare as hen’s teeth). 2. That the Mobiliser is not a medical product but a wellbeing product and whilst BIA will endeavour to offer guidance regarding all users conditions, the hirer will at all times be responsible for following the advice of their medics. If you cannot visit a store then Delivery and collection is £30 each way (UK Mainland only). Please note - rebate for treatment excludes any other offers associated with the Mobiliser. Hire is the right choice if you are uncertain about how long you will need the Mobiliser. Most Mobilisers leave us on hire terms, but more than half later choose to buy a new one. It's a low risk way to try the Mobiliser (although you can of course save money by buying one up front). If you hire a mobiliser we typically take a deposit and we take the rental from this before returning the balance. We include in the hire a number of extra services which will greatly enhance your experience. These are detailed below. What's included when you hire or buy: see text below. Buy: Why Buy a Mobiliser™ (together with BIA Consultancy)? Most Mobiliser users know straight away that they would like to own one... two things stop them... Can they afford it and would they go on using it? In either case the right solution might be to hire one first... check out how much it helps... maybe check the bank balance! 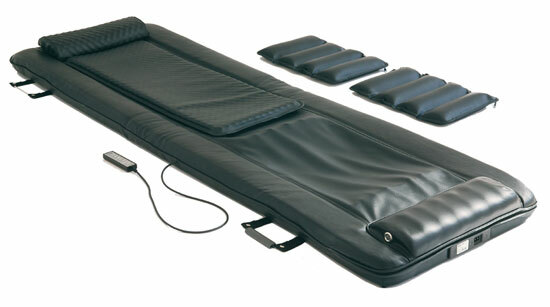 However, lets be honest, if you've suffered back pain for years or if you miss feeling young, you'll want to go on using the Mobiliser for a long time... owning a new one is very tempting. Outright purchase can be arranged on delayed payments which is actually cheaper month by month than hiring. Supplied from our "hire fleet" of over 150 units to use in your home. Including valuable extra services as below. Your unit will be cleaned and supplied in excellent working order. Extra help for localised issues. Via our consultancy system we have been able to observe the progress of thousands of Mobiliser System users. Most seem to get what they want with our help... which is great, but for some users the improvements in their bodies movement and co-ordination reveal a localised issue that was previously difficult to see. So we even have a system to help there... if you decide that private treatment or independent fitness consultancy would speed up your progress we will rebate your monthly fee by the cost of one session a month (max £50 per hire month... just provide details at final invoice time). Normally this wouldn't be surprise to us as we'd have discussed it on the consultancy system!!!. Hired Mobilisers are supplied in two strong protective carry bags:- A large travel bag for the main unit and a smaller rucksack for the pressure enhancing leg weight. All necessary accessories are included. Call in by appointment and we'll train you in basic and advanced techniques. Including valuable extra services as below. With contributions from Dr Lady Ann Redgrave, Doctor to the Olympic Rowing team for ten years. Superb online, interactive consultancy system which enables users to discuss their experience, and request expertise. Questions are answered by skilled staff and medics. Contact with other Mobiliser users optional. Please click here to see Mobiliser diaries. Via our consultancy system we are able to observe the progress of thousands of Mobiliser System users. Most seem to get what they want with our help... which is great, but for some users the improvements in their bodies movement and co-ordination reveal a localised issue that was previously difficult to see. So we even have a system to help there... if you decide that private treatment or independent fitness consultancy would speed up your progress we will rebate your purchase by the cost of one session a month (max £50 per month) for up six months in the first year (just provide details by email post or fax... Normally this wouldn’t be surprise to us as we’d have discussed it on the consultancy system!! Purchased Mobilisers are supplied in a strong box and with a dust cover for storage. All necessary accessories are included. A pair of travel bags (as used on hire units see left) can be purchased separately. Call in by appointment and we'll train you in basic and advanced techniques whenever you feel it needed. If your family start to use it (how can they resist) we'll train them free too.